Monkey D. Luffy, or "Straw Hat Luffy" as he is often referred to as, is a fictional character and the main protagonist in the anime and manga series One Piece created by Eiichiro Oda. He is the pirate whose body is made of rubber after he ate a devil's fruit and acquired the accursed ability. In the anime and manga, Luffy is captain of the Straw Hat Pirates, a group of pirates he assembles himself as he quests to find the "One Piece" and become the King of the Pirates. His primary motivation throughout the series is to reach the goal with all of his comrades, a task he pursues no matter what stands in his way. While he is goofy and reckless, he gets quite serious when anyone is in serious danger, notably his crew, whom he considers his friends. 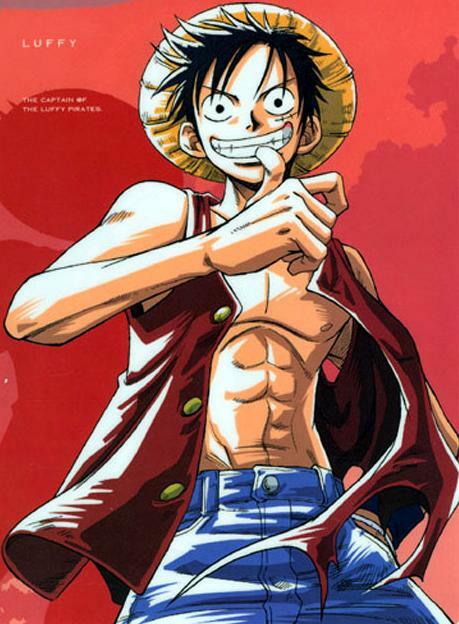 Luffy has additionally appeared in all of the featured movies in the series and other media relating to the series, including several video games and specials. Yusuke Urameshi is known to be a stereotypical bad seed; having a spotty attendance record, doing poorly in class, and picking fights with many other students. He also smokes cigarettes and drinks alcohol in the manga. He dies after saving a small child from being struck by a car, which is something the guardians of the afterlife did not predict. Koenma allows Botan to becoming Yusuke's guide for the Ordeal that he must undergo in order to be brought back to life, as well as help show him that he is actually a good person. He is then forced to become a Spirit Detective who protects the human race from demons. He deeply cares for his childhood friend Keiko and tries not to get her involved with the spirit world. Towards the end, he proposes to Keiko and promises to come back. He is voiced by Nozomu Sasaki in Japanese media and Justin Cook in the English dub. Rik Nagel voices the character in YuYu Hakusho, The Movie: Poltergeist Report. Yusuke's most common attack is the Reigun or the Spirit Gun , spirit energy concentrated into his right index finger and released it as a projectile. He develops variations as he develops and strengthens it. He is a Mazoku, or a descendant of the Amazaku demons. Raizen made it so that when the stars reach a certain alignment, and his descendant is worthy of awakening, they would transform. Ichigo Kurosaki is a fictional character in the anime and manga franchise Bleach by mangaka Tite Kubo. He is the story's main protagonist. The series begins with Ichigo receiving Soul Reaper powers as a result of a run-in with Rukia Kuchiki, the Soul Reaper assigned to patrol his city, Karakura Town. These powers come at the cost of Rukia's own, and as a result, Ichigo concedes to work as Rukia's stand-in, fighting to protect people from evil spirits called hollows and sending good spirits, wholes, to Soul Society. In addition to the main series, Ichigo appears in many other pieces of Bleach media, including the two featured films in the series, the two original video animations, and several video games. Ichigo's character was created to replace Rukia as the lead character from the series as Kubo noted that Rukia was unsuitable to the protagonist. Merchandise based on Ichigo's likeness has also been released, including toys, clothing, and action figures. Ichigo's character has been well received among both fans and reviewers. In Shōnen Jump character popularity polls, Ichigo consistently ranks as one of the most popular characters in Bleach, and the 2007 Japanese Newtype magazine polls ranked him as one of the top 100 most-loved anime characters. Reviewers of the series have also remarked favorably on his personality, though some considered him to be a stereotypical anti-hero during the first few episodes of the series. Naruto Uzumaki is a fictional character in the anime and manga franchise Naruto created by Masashi Kishimoto. Naruto is the main protagonist and titular character of the series. In creating Naruto, Kishimoto wished to keep the character "simple and stupid" while giving him many attributes of Son Goku, the main character from the Dragon Ball franchise. However, Kishimoto also added his dark past to make him look unique. Naruto's initial design has been changed several times by Kishimoto giving him different clothes to make him more appealing to Western audience as well as to be easier to draw. Several anime and manga publications have expressed acclaim and criticism of Naruto's character. Some view him as a stereotypical manga and anime protagonist comparable to those in many other shōnen manga, while others have praised his personality as well as his development in the series. 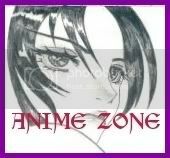 Nevertheless, Naruto has remained highly popular with the Naruto reader base, placing high in several popularity polls. Merchandise based on Naruto has also been released, including figurines and plush dolls. Son Goku is a fictional character and the main protagonist of the Dragon Ball universe created by Akira Toriyama. He first appears in the first chapter Bulma and Son Goku first published in Weekly Shonen Jump magazine on December 3, 1984. He is loosely based on Sun Wukong, a central character in Journey to the West, however, Toriyama changed some of his characteristics to be more original. Goku is introduced as an odd, monkey-tailed boy who practices martial arts and possesses superhuman strength. As the story unfolds, he is actually revealed to be from a fictional race of extraterrestrials called Saiyans, said to be the strongest warriors within the fictional universe. Goku also made cameo appearances in Toriyama's self-parody series Neko Majin Z and also starred in all the films, specials and video games from the series. Anime News Network noted Goku to be a good part of the comedy of the series and remarked that after all events that happen to him he is still the same naive character. THEM Anime Reviews noted him to be Goku is not the omnipowerful one in the first series unlike Dragon Ball Z, nor does he randomly disappear for long stretches of time between sagas. They also liked how the series tell all his adventures making him a good main character. Rationalmagic.com praised Goku's innocence as one of the funniest parts of the series. His journey and ever growing strength resulted in the character winning "the admiration of young boys everywhere". Several pieces of merchandising based on Goku has also been released including action figures, plushes, and keychains. In 2005, The Daily Reader printed an article entitled "The Greatest Geek Movie Heroes of All Time". Goku is the only animated character on the list, coming in nine places after the winner. Other manga artists, such as Naruto creator Masashi Kishimoto and One Piece creator Eiichiro Oda, have stated that Goku inspired their series' main protagonists. In 2000, Goku placed third in an Animax poll of favorite anime characters. In a survey conducted by Oricon in 2007 between 1,000 people, Goku ranked first place as the "Strongest Manga character of all time." Masako Nozawa, the Japanese voice actor of Goku, has commented she liked when he lost his tail because that made him more normal but liked that the character was still the same in the end of the series. Jackie Chan has gone on record stating that Goku is his favorite Dragon Ball character. The German rock band Son Goku takes their name from Goku. The band front man Thomas D specifically chose the name as Goku embodies the band's philosophy. Stating he was "fascinated by Goku's naïveté and cheerfulness, yet, at the same time, a great warrior saving the world". If Images are NOT working, if the post provided some misinformation and if you have any TOP Five recommendations, Feel free to raise it here.